Five of Bucky Barnes’ fiercest fights! The Winter Soldier, Marvel's super cool super spy, has fought everywhere from alien planets to Asgardian realms. Here are five of the Winter Soldier's most intense battles with his fiercest foes. 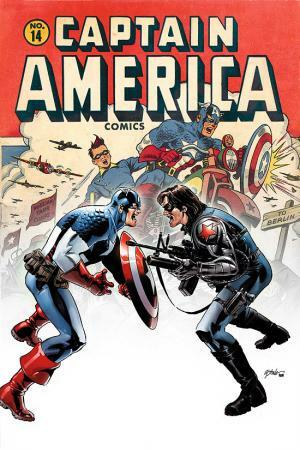 After decades spent running missions, the brainwashed Winter Soldier emerged from the shadows to engage in a bit of deadly hand-to-hand combat with his old partner, Captain America. Cap thought that his partner had died, and the revelation to the contrary shocked him to his core. The Winter Soldier lost the battle once Steve Rogers used a Cosmic Cube on the assassin, forcing him to remember his past life as Bucky. 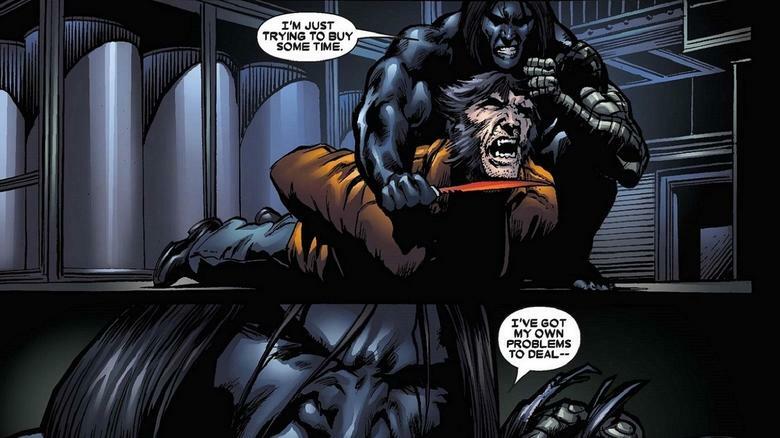 After regaining his memories, Bucky ran into another guy that had just regained all of his memories—Wolverine. Unfortunately for both of them, they both remembered the time a mind controlled Winter Soldier had murdered Wolverine's wife and unborn child. 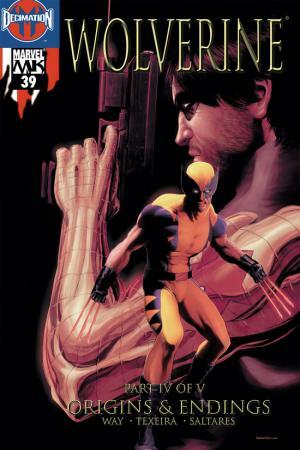 Logan tracked Winter Soldier to Serbia where the two clashed next to a giant printing press—a location picked by Bucky to cloud his foe's senses with the smell of ink. The fight that followed escalated to biting fairly quickly. 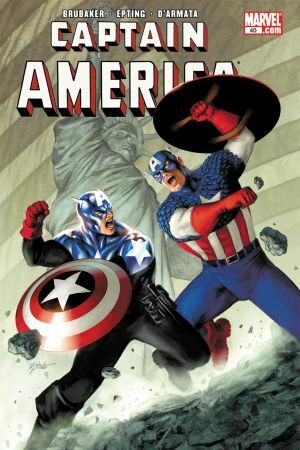 When Bucky took over the mantle of Captain America from a fallen Steve Rogers, he had to deal with another replacement Cap—William Burnside, the Captain America from the 1950's. The crazy Cap reemerged as a pawn for the Red Skull and Doctor Faustus in their plan to gain political control of the United States. The two clashed shields until Burnside punched Bucky off of a skyscraper. Luckily Falcon just so happened to be flying through the neighborhood. 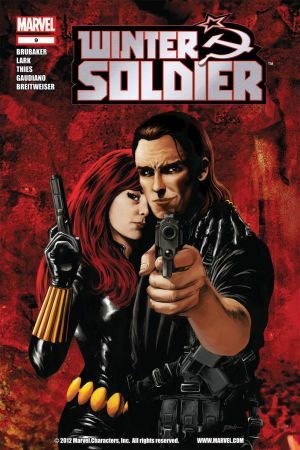 Plenty of bad blood exists between the Winter Soldier and Baron Helmut Zero, the son of the villain that originally put Bucky on ice back in the waning days of World War II. Bucky confronted the Baron and came face to face with the exact circumstances of his previous "death." 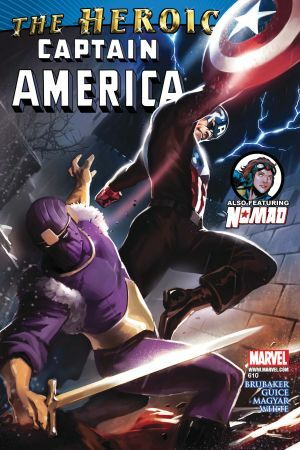 Zemo tied the hero to another rocket plane, hoping to kill him using the same method as his father. Unfortunately for the son of Zemo, Bucky had picked up a few new tricks in the decade since his near demise and broke free just in time. Bucky clashed with another assassin cut from the same cloth as him when the maniac Leo Novokov came out of suspended animation. The madman murdered Fred Davis, a replacement Bucky from the 1940's, and turned the Black Widow into a weapon to be used against the Winter Soldier. Bucky ended up winning the battle, but lost the love of his life in the process.